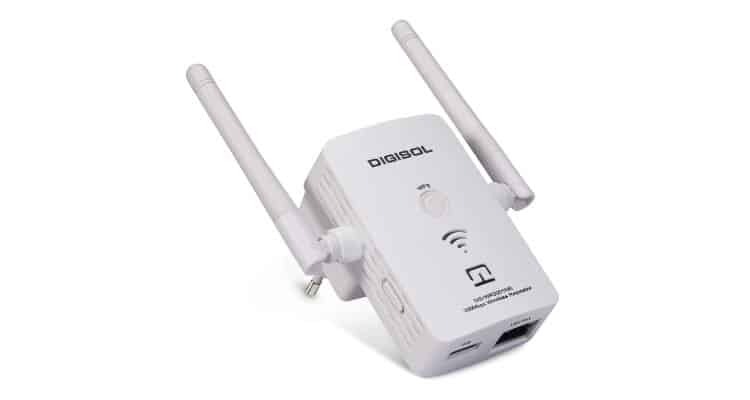 DIGISOL Systems announced the release of its new 300Mbps Wireless Universal Repeater. The DG-WR3001NE enhances Wi-Fi range and improves the signal quality of the existing Wi-Fi network. The users can download, share and experience uninterrupted multimedia within the LAN. The DG-WR3001NE can work as access point, repeater and wireless client. Mandar Joshi. Sales Head – Channel Business, DIGISOL Systems Ltd. said, “The ever growing use of handheld mobile devices is creating a need for uninterrupted wireless connectivity across. Our new product caters to this need and provides instant high speed internet connectivity and extended coverage to professionals on the move or home users. With a compact plug-in design , the device is very handy when you are at location where Wi-Fi coverage is poor ”. Integrated power adapter and a compact design make it easy for plugging the device directly into an electrical outlet & reduce the clutter of cables. Due to compact design the wireless repeater can be easily installed in the location where the wireless signals are weak and need enhancement. The DG-WR3001NE supports latest IEEE802.11n standard and is backward compatible with IEEE802.11b/g standard. DG-WR3001NE provides robust wireless security to protect sensitive data from hackers and also maintain confidentiality of the Wireless Network. This is achieved by using security protocols ranging from 64/128 bit WEP encryption (first level of Security) to WPA2 Enterprise (highest level). Moreover, the device also supports WPS (Wi-Fi Protected Setup) function, which simplifies the procedure to setup a secured wireless network . Just by pressing a WPS button on the unit, DG-WR3001NE can wirelessly associate itself with another WPS enabled network device securely. Price: The feature rich DIGISOL DG-WR3001NE, is available at street price of Rs.1499/- and comes with limited lifetime warranty.